DELAND — Thelma Ann Stigler, 83, died Jan. 30, 2019. 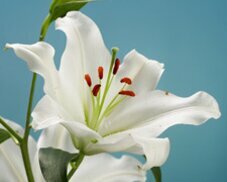 ORANGE CITY — Ana Celia Soto Hernandez, 67, died Jan. 30, 2019. ORANGE CITY — Chloe C. Kauffman, 94, of John Knox Village and formerly of DeBary, died Jan. 26, 2019. DELTONA — Patricia Ann Herchenroder, 85, died Jan. 25, 2019. ORANGE CITY — Louis R. Gorisek, 86, died Jan. 27, 2019. DEBARY — Beverly Ann Fortnam, 82, died Jan. 30, 2019. DAVIE — Catherine M. Cebollero, 65, died Jan. 24, 2019. ORLANDO — Marian F. Bihari, 92, formerly of this area, died Jan. 26, 2019. A graveside service will be at 1 p.m. Saturday, Feb. 16, at Deltona Memorial Gardens in Orange City. DEBARY — Luella C. Cloyd, 83, a resident since 1956, slipped away peacefully Jan. 29, 2019. Viewing will be at 1 p.m. Monday, Feb. 4, with service following at 2 p.m. at Deltona Memorial Funeral Home in Orange City. PIERSON — Tonya Kay Owen, 42, died unexpectedly Jan. 26, 2019. A gathering of friends will be at 2 p.m. Saturday, Feb. 2, in the Allen-Summerhill Memorial chapel in DeLand. Virginia Draiss of Leesburg, FL, loved her family, friends and enjoyed being with her dogs.